Calling all football, basketball and college team fans! Show your pride during every moment of tailgating season. Personalize your car flag today. 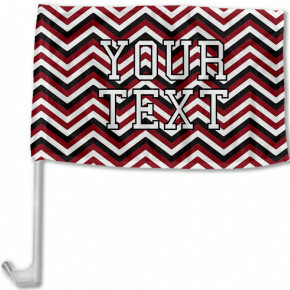 Each flag features two lines for the text you choose. It's all about school spirit, when you have gear decorated with the red, green, blue, orange or yellow colors representing the university you graduated from. 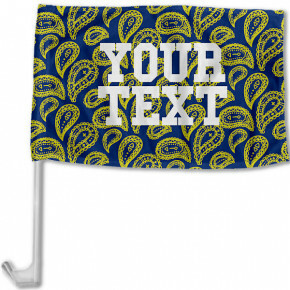 Proudly support your college team with a custom flag that will be with you everywhere you go. 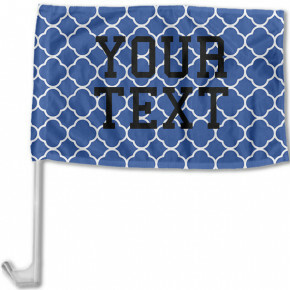 This easy-to-mount flag makes a thoughtful graduation, Father's Day or Christmas gift. Do you have a special cheer? Let the world see. Did everyone in the family graduate from the same school? 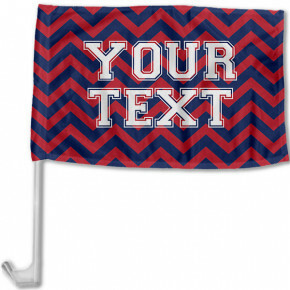 Put your family name on a vibrant flag! Find the pattern for your alma mater and provide the text you want when you complete your order.